Deborah Jakubs is the Rita DiGiallonardo Holloway University Librarian and the Vice Provost for Library Affairs. She leads efforts to cultivate information services that support the teaching and research of the Duke community and the international community of scholars. She administers the Duke University Libraries system, comprised of six libraries and a state-of-the-art, high-density repository. She also works closely with the university's chief information officer and deans to ensure that the libraries are contributing fully to Duke teaching and research initiatives. Duke University Libraries rank among the nation's top ten private research libraries — with nearly seven million volumes, millions of resources in a variety of formats and 65,000 linear feet of manuscripts and archives. Thousands of worldwide users visit the libraries' digital collections. 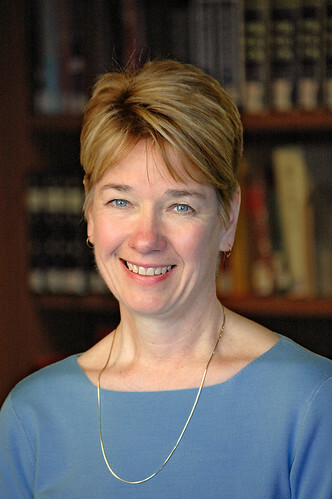 Prior to being named head of the Duke University Libraries in 2005, Jakubs served as Director of Collections Services, Head of the International and Area Studies Department, and Librarian for Latin America and Iberia at Duke, where she is also an adjunct associate professor of history. Jakubs serves on numerous advisory boards and consults widely on research libraries. She has been particularly active in the growth of area studies, international education, and cooperative collection development. She has served on the Board of Directors of the Association of Research Libraries (ARL) and is the current President of ARL. Jakubs was an ARL visiting program officer from 1996 to 2002, when she launched and directed the Global Resources Program, a joint multi-institutional effort of ARL and the Association of American Universities (AAU) to expand access to international scholarly resources through cooperative structures and new technologies. With the Center for Research Libraries, she recently convened and chaired an invitational forum at Duke on the Global Dimensions of Scholarship and Research Libraries, focusing on the problem of decreasing acquisitions of foreign language materials in United States research libraries and the potential impact on scholarship, particularly in the humanities and social sciences. Jakubs holds a B.A. from the University of Wisconsin at Madison, an M.L.I.S. from the University of California at Berkeley and a Ph.D. in Latin American history from Stanford University.